Manchester United returns to the 2013 Gordon Jago Super Group | Dallas Cup, Inc.
Dallas, Texas – Dr Pepper Dallas Cup and Nike Inc. are excited to announce the return of Manchester United to the 2013 Gordon Jago Super Group. With a star-studded roster containing multiple European youth national team members, Manchester United fell to Brazilians Coritiba FC in a thrilling championship game last year and they return in 2013 looking to win their first Dallas Cup Super Group championship. Dallas Cup partner Nike has been influential in bringing Manchester United to the tournament for the second year in a row. Manchester United has won a record 19 league titles, 11 FA Cups and three European Cups while producing more current Premiership players than any other English club. Dr Pepper Dallas Cup XXXIV will be played from March 24th through March 31st, 2013. Marquee Super Group games and all championship matches will be played at the historic Cotton Bowl Stadium in Dallas. The remaining games will take place at the fields of Richland College and University of Texas at Dallas. "Sir Alex Ferguson recently stated that Manchester United is one of the greatest clubs in world soccer,” stated Dallas Cup Ambassador and Special Advisor Gordon Jago. “For him to send his Academy/Reserve team to compete in Dr Pepper Dallas Cup XXXIV is great recognition of our tournament." 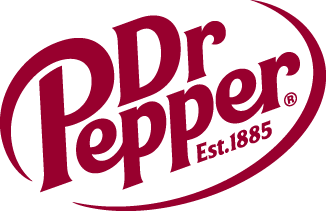 Dr Pepper Dallas Cup, one of the most prestigious international youth tournaments in the world, celebrates its 34th year in 2013. Dallas Cup contains seven age groups from U13 to U19 level and entertains on average more than 160,000 spectators during the week. Since its inception in 1980, Dallas Cup has played host to teams and referees from over 45 states, 100 countries and 6 continents. Visit www.dallascup.com for the latest new s.